How to defeat Putin in Ukraine: The West should help Kiev succeed, not send weapons for a losing war. Arming the Ukrainians is a losing game. Instead, help Kiev succeed. 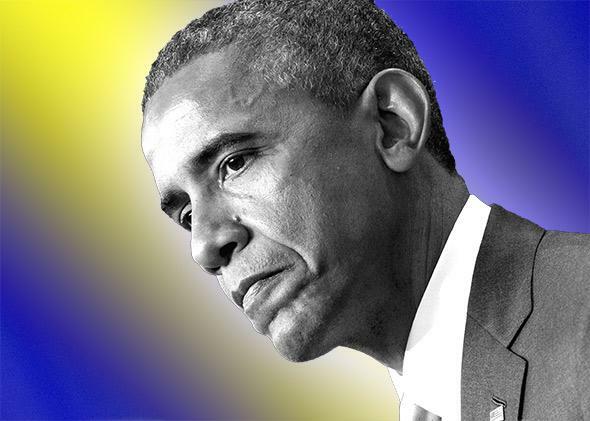 In the unlikely event that President Obama decided to send lethal weapons to Ukraine, he should do so in full awareness that war with Russia would be a real possibility. If peace is at hand in Ukraine, it’s probably not for long, and it should be assuring that those who negotiated the cease-fire in Minsk, Belarus, on Thursday morning—the leaders of France, Germany, Ukraine, and Russia—are clear-headed enough to know as much. Regardless of whether or when the shooting resumes, the hard question is what comes next politically. The eastern sliver of Ukraine seems destined to come under some sort of Russian control, but what sort: as a breakaway republic, like South Ossetia and Abkhazia in Georgia, which might at least clarify the country’s politics; as one district in a federated Ukraine, which would weaken the central government in Ukraine and impede it from leaning further westward; or, as some fear, will Vladimir Putin use his territorial gains as a springboard to move in still deeper? And what will, or should, the West do about any of these eventualities? Before delving into these questions, a few basic facts need stressing. First, sending weapons to the Ukrainian military, as several U.S. senators and think-tank analysts urge, is a losing game. Unless we turn on the spigot full blast, with the aim of “prevailing” in a head-on East-West war (which would be insane for many reasons), the Russians could match each step up the ladder—and win a propaganda battle besides: Putin would be proved right that Kiev is a Western pawn, that its democratic activists are Western tools, and that further controls at home and “fraternal assistance” abroad is necessary. The Western Europeans, whose support has been vital to the politico-economic campaign against Putin’s aggression, would jump off the coalition bandwagon, to stave off the pressures for further escalation. Besides (and I know this sounds cold), the fate of eastern Ukraine doesn’t make the list of vital U.S. security interests—that is to say, interests worth going to war for. This is one reason President Bill Clinton didn’t include Ukraine in his NATO “enlargement” campaign, which did bring Poland, the Czech Republic, and the Baltics into the fold, nor did President George W. Bush amend the list after mulling the pros and cons. In the unlikely event that President Obama (or, less unlikely, a successor) decided to send lethal weapons to Ukraine, he (or she) should do so in full awareness that war with Russia would be a real possibility. The Ukrainian army would have to be trained to use these weapons—that is to say, we would need to put trainers on the ground. We’ve seen this movie before. Nor should there be any illusion that Moscow would back down in the face of an M1 tank. Ukraine has been integral to Russia for 1,000 years, a vital trade partner, agricultural supplier, and security buffer. Neither Putin nor any other Russian leader would sit passive while Ukraine slipped away to the Western camp—and, last year when the conflict began, Putin feared that Kiev’s new leaders were about to do just that. This is no excuse for Putin’s annexation of Crimea or his brutal aggression in eastern Ukraine. But it helps explain his behavior (it’s not just the product of an ex-KGB man’s paranoia), and it helps predict how far he might go if pushed to the brink. Ukraine is a vital national-security interest for him, and it’s right on his border. The senators and advisers who want to intervene in the conflict directly by sending arms and advisers to Ukraine—and this group includes Obama’s new secretary of defense—need to tell us what their next move would be. Sen. John McCain, one of the most insistent advocates of arming Ukraine, recently likened the idea to the 1948 Berlin Airlift, when U.S. and allied aircrews broke the Soviets’ blockade of West Berlin by airlifting supplies, flying 200,000 sorties, over an 11-month period, before the roads, rails, and canals were reopened. “We didn’t say, ‘Hey, we don’t want to provoke the Russians,’ ” McCain scoffed. But McCain has his history wrong. The Berlin Airlift was indeed among the bravest and most noble achievements of the Cold War. But the American, British, Canadian, Australian, New Zealand, and South African air forces that took part weren’t hauling weapons to the West Berliners so they could do battle with the Soviet-ruled easterners. They were airlifting food, fuel, and other essential supplies so that the people there could survive and the Western enclave, located 110 miles inside East Germany, could remain free and independent. As a beacon of freedom and a bastion of Western interests, Kiev is not Berlin, and you can say that several times over for Donetsk or Debaltseve. Still, as long as McCain is contriving Cold War analogies, it’s worth stressing the strategic purpose of the Berlin Airlift—and, for that matter, the NATO treaty and the policy of containment—wasn’t so much to stave off the Russians, at least not for its own sake, as it was to protect and uplift Western nations and Western values. This should be the main purpose of the West’s policy toward Ukraine as well: not so much to punish Putin (though that can be part of it) but rather to preserve and enliven Ukraine or even (if some de facto division takes place) central and western Ukraine. What Putin fears most in this whole confrontation isn’t the introduction of some Western tanks or rockets; it’s a thriving, prosperous Ukraine—it’s an example to the rest of the former Soviet republics (and to the people of eastern Ukraine, and for that matter Russia) that a better, richer life can be had under Western styles of governance and economics than under Putin’s dream of a resuscitated USSR. The sidebar story to the Ukrainian cease-fire on Thursday was the International Monetary Fund’s bailout of Ukraine’s economy to the tune of $17.5 billion. If President Obama, Chancellor Angela Merkel, and the others want to get serious about helping Ukraine, they would immerse themselves in that intervention, and they’d see that it’s woefully inadequate. As the Economist notes, the actual disbursement amounts to about $5 billion, it’s the follow-up to an old promise, and it’s laced with the usual IMF austerity requirements. Ukraine needs a massive infusion of aid and, even more, investment, along with expansive political ties with the West. On the military front, NATO needs to step up its commitments to its eastern member-nations, especially Poland and the Baltic states, in part to deter Putin from getting any dangerous ideas of pushing further, in part to instill confidence in all allies, and in part to demonstrate NATO’s unity—which, by the way, Putin’s actions in Ukraine have done more to solidify than anything else in the past decade. Obama has taken a few steps in this direction, but he and the other allied leaders could take more. Above all, everyone, including McCain and his worrywart amigo Sen. Lindsey Graham, should take a breath. Putin’s a bad guy, but he’s not Hitler. The Russian army is not the Nazi Wehrmacht. Russia’s economy is in the tank; by comparison, World War II–era Germany’s was so resilient that, as late as 1943, its factories were still churning out lace and other luxury goods. 2015 is not 1939 or 1949: not remotely. But what won the Cold War can win this competition, too: patience, endurance, shrewd containment, and the example of something better just across the horizon.